For those who have been wearing crocs as their usual footwear, they would probably attest how comfortable they are on their feet. However, we cannot deny that some of them are using this type of footwear more so because it is trendy. Crocs has been a fad among footwear junkies since it propped up in 2002, and there seems to be no signs of its usage falling out-of-fashion. Yet, in a recent interview with podiatrists done by The Huffington Post, they warned against the excessive use of Crocs for long periods especially if done daily. 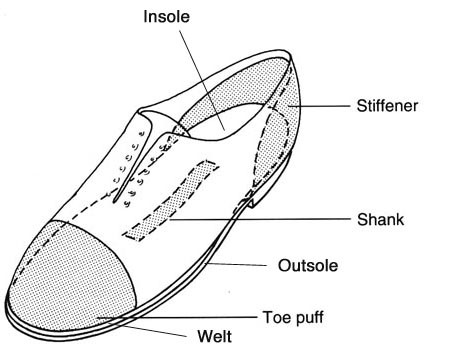 While this type of footwear has some benefits to offer because of its lightness and the support it provides to the arch of the foot, the absence of an ample harness to secure the heel is making it an unstable protection for the foot. Dr. Meagan Leahy, a podiatrist in Chicago, says, “Unfortunately Crocs are not suitable for all-day use. They offer nice arch support but these shoes do not adequately secure the heel. When the heel is unstable, toes tend to grip which can lead to tendinitis, worsening of toe deformities, nail problems, corns and calluses.” She further explains that the case is true for any backless footwear with nothing on it to support the heel, such as flip-flops and slippers. When Crocs was released in 2002, the original design was intended for boating. With its strap mechanism and no-slip waterproof qualities, it was really meant to be worn in beaches and places where there are rampant splashes of water. Lyndon V. Hanson III, vice-president and co-founder of Crocs claims that their footwear has therapeutic benefits and that they were made with ‘healthy feet’ in mind. “These shoes were designed specifically to eliminate plantar pain and achy feet. They also help people with injured feet, bunions, and diabetes. You’ve got a lot of inner support, heel cups and massaging heel nubs, and arch support. They’re ideal for people with foot problems,” says Hanson in an article published by WebMD. Crocs are, as a matter of fact, certified (for public use) by the American Podiatric Medical Association and U.S. Ergonomics Council. Some doctors even recommend them as part of the therapy to their patients. No less than the former president of the APMA, Dr. Harold Glickman DPM, attests to Crocs therapeutic purpose. He claims that, aside from its lightness, they have hugely enough space for the toes to be comfy and free from friction – particularly for feet with conditions like hammertoes and bunions. The Rx line of Crocs are made of anti-bacterial material which makes them suitable for treatment against bacterial and fungal infection of the feet; this is particularly beneficial to diabetic patients whose feet are susceptible to various kinds of infection. Dr. Glickman also prefers Crocs over flip-flops. “Crocs offer more protection for your feet than flip-flops. Flip-flops don’t provide a lot of arch support; they’re open-toed so you can stub your toe and hurt yourself. Crocs offer more protection and comfort than that,” he explains. Since Crocs have been approved by the APMA, then it goes without saying that it is generally safe for wearing. To avoid the complications being mentioned by some podiatrists, it would be best to wear them occasionally and not for prolonged heavy usage. Occasions like strolling along the beach, leisure boating, and resting at home are the opportune times they can be worn. Misusing one type of footwear against its originally intended purpose can be detrimental to your foot health. At best, the advise of your local podiatrist should be sought particularly if you have a pre-existing foot and lower limb condition.